I want to start this morning by talking about Nicki Minaj and the changes she has made recently. It seems like she has toned it down a lot these last couple of weeks. I wonder if this has anything to do with album sales? Nicki could never get that big selling album and I think her image was hurting her. The whole ‘Barbie’ crap is played out and overrated! Plus she lost me with the Roman Reloaded Homesexual twin brother alter ego crap or whatever that mess was. And let’s not forget about the Red Hood look with the Pope escorting her to events! I truly think her Label and management team told her to go back to the basics and look more like the Nicki that just got paid on Friday and she just got her hair and nails done vs. the I fell asleep in a crayon box and I can’t stop eating crayons! Plus if you noticed we haven’t seen the EYE Poppin Facial expressions that come w/ the old Nicki. Personally I really like the New look now let’s see if she will let us know who she REALLY is on this new album. 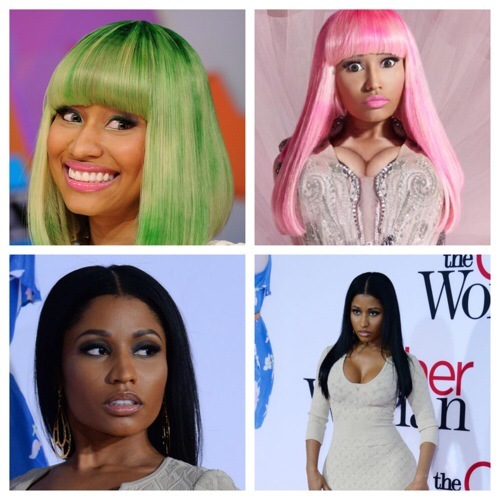 Nicki Minaj…..Who Are you? Not You but the REAL You??? I’m loving the normal look. I think once you start crossing over, the gimmick is up and now it’s time to show off your talent, not a package. 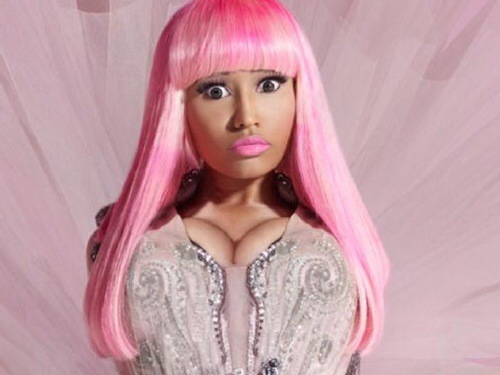 The new Nicki can now be taken seriously, acting in films, fashion etc. I hope her team keeps pushing her in this direction. The new look is great! It’s all about playing “The 48 Laws of Power” She gained the support of the streets, she changed her image and style to stand out to be an international pop crossover success, expanded her brand through pop culture (clothing, perfumes, her own Moscoto, endorsements, American Idol, etc) Now she is an influential household name, now she can do whatever she wants because both masses are eating out the Palm of her hand! Great marketing and brand building by Cash Money in my opinion!